Kobra could be described as Mortal Kombat's stock street brawler character. 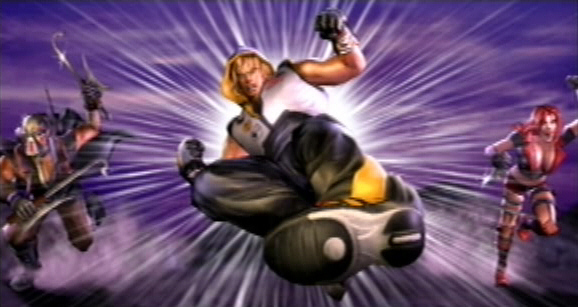 Infamous for his brutality and savage killings, Kobra shows no mercy to his opponents. Introduced in Mortal Kombat: Deception as the second of Kabal's recruits for the new Black Dragon, he is a gifted young martial artist, eager to put his skills to the test. For years, Kobra wondered whether his martial arts training would work in a real fight. Even though he has been practicing his skills at his NYC karate school, no one was allowed to really hurt each other. 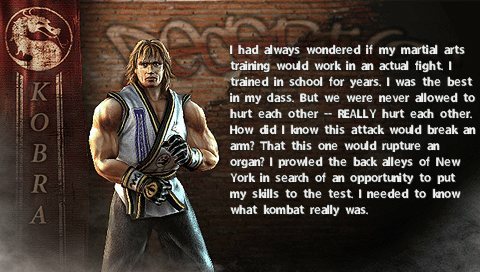 So, he went to New York's back alleys in order for him to put his skills to the test. At first, he started on street gangs. Then, he went to gangbangers and drug dealers. 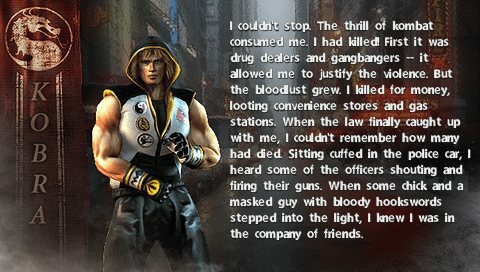 The thrill and excitement of fighting started to consume him, and he started killing his opponents. He continued his killing streak and added looting to his list when he robbed convenience stores and gas stations. Eventually, the NYPD caught him. At this point, Kobra had no clue as to how many lives he had destroyed. When Kobra was being taken downtown, he heard gunfire and officers shouting. 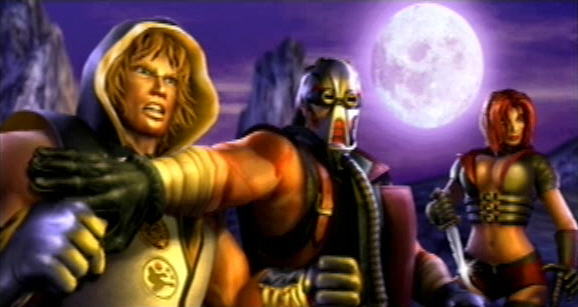 Kabal and Kira had found out about him and came to induct him into the new Black Dragon syndicate. 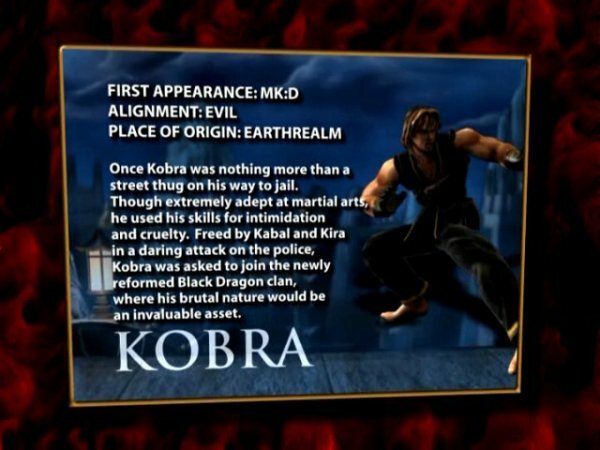 After killing the officers and escaping, Kabal took Kira and Kobra to Outworld, where they worked for Havik, the cleric of Chaos who had brought Kabal back from the brink of death. Isn't it a bit late for a Ken rip-off, Midway? 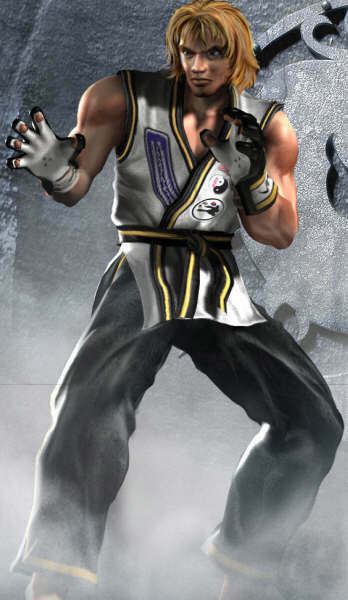 Seems like the MK development team really ran out of ideas during the Deadly Alliance / Deception / Armageddon era (also judging by their other new designs) so they figured they'd make a Ken look-alike just for kicks. 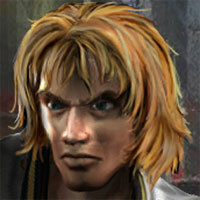 Slap a sword in his hand, give him some Japanese caveman-sounding grunts, and call him a new Mortal Kombat character. LOL. Needless to say, this design is pretty sad on all levels. No originality and he hardly manages to fit in with the MK vibe. Even his storyline is laughably bad.